You own or work for a business, you have a website, you need more traffic. If this is you then hopefully the following will help you better understand how to approach your much needed SEO website audit. One of the first things if not the first thing anyone should do is check to see if your site is even being cached by Google. By performing a cache: command in the URL in Google Chrome, or by downloading a cache plugin for other browsers, you can very quickly tell whether or not Google is crawling your page. You also want to make sure that the content on your page is “readable” by the crawlers. If you have maybe a block of content that is part of an image, chances are that content is not getting interpreted by Google and will not count towards helping with your site equity. If you have already established a targeted keyword list then you have a pretty good idea of what head-match and long-tail terms you want to rank for. Check those terms in Google and see what your high ranking competition is doing well and try to mimic their strategies. They must be doing something right. Even if you are not a trained SEO, one of the tell tale signs that a site has or has not been optimized are the pages titles. If your page titles do a poor job of describing the content, or are filled with unnecessary or stuffy keywords, then chances are the site has been poorly optimized if optimized at all. These days it is truly a good practice to titling your pages as naturally as you possibly can. Google likes a user-friendly web page and you don’t need to fill your page titles with gratuitous, quasi-relevant keywords to achieve that. Are You Suffering From Thin Content? Thin content is a dead end for web rankings. Basically thin content is deemed as low quality by the search engines. Although it is only one of 200 different Google ranking factors, it’s one of the more important ones. Google is seeking to find who is the most authoritative source on a given subject matter to refer a consumer to. They want to provide the best possible experience for that user and so they try to select the source with the most relevant and substantial content to show the consumer first. Categories: addiction rehab marketing, drug rehab marketing agency, local seo consulting, local seo manager, pro seo manager, seo agency, seo best practices, seo expert, seo management, and seo professional. 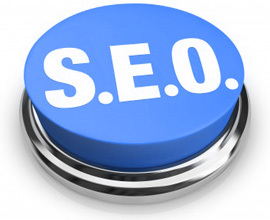 Tags: affordable seo manager, local seo, local seo agency, local seo company, local seo expert, local seo manager, and seo.